You know what doesn’t easily fit into stockings? Books. Here are some alternatives to delight the literary lover in your life (or for shameless self-gifting). 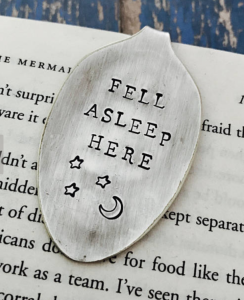 Bed is one of the coziest places to read, but the downside is you run the risk of losing your place by falling asleep while reading. 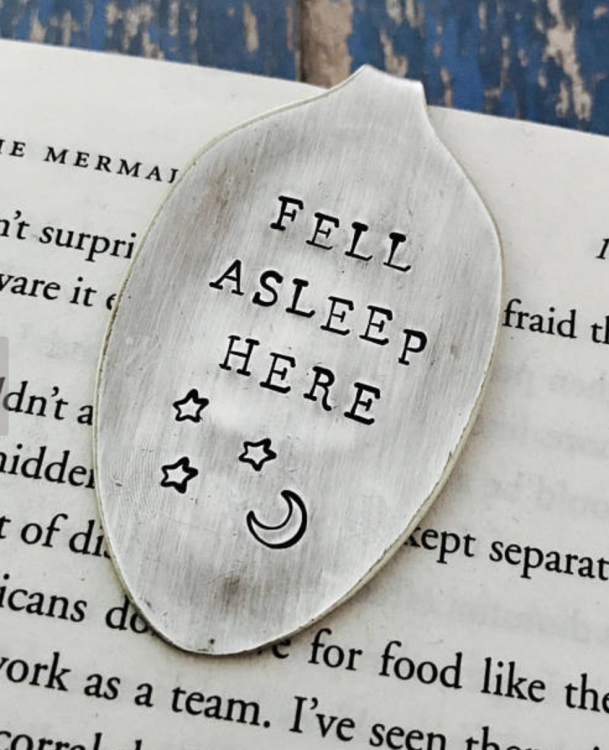 This bookmark will keep your place if you escape to dreamland before the next chapter. 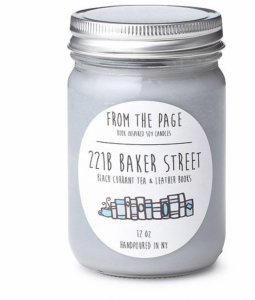 This Sherlockian candle evokes notes of black currant tea and leather books. It’s a pleasant scent to burn during late-night reading sessions. 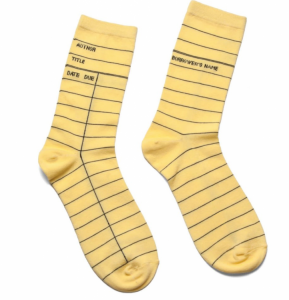 You really can’t go wrong with anything from Out of Print, but we especially adore these old card catalog socks. It makes us nostalgic for the days of yore. Shiny, tiny and cute. 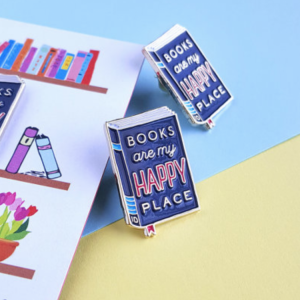 You can’t go wrong with these pins for book lovers. 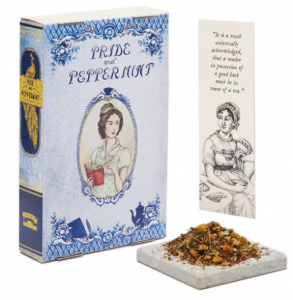 Teas with bookish puns?! We adore this entire collection, and we have a feeling the book lover in your life will too.